Google Instant has been disabled. This means Google will no longer show you search results (not suto-suggestions) as you type your searches on desktop devices. 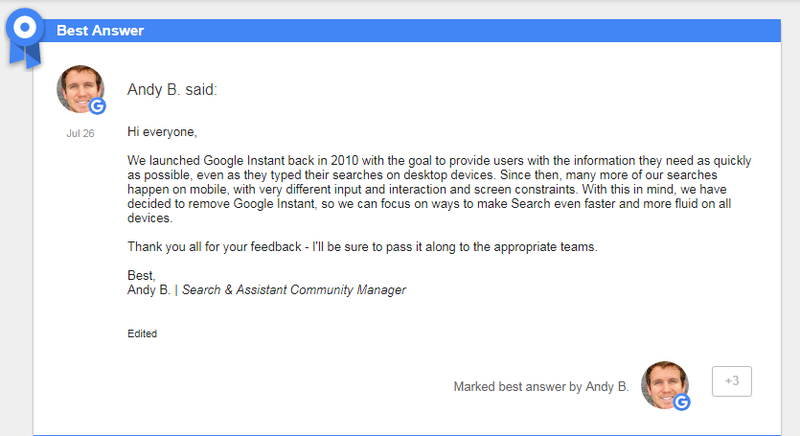 According to a statement by a Google rep, it was retired to make Search even faster and more fluid on all devices. Na wao, Oga @jidetheblogger what’s your take on this? ?